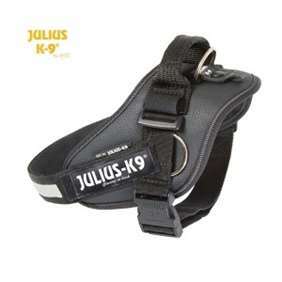 Saluki - Julius-K9 harness size 0 - Las Vegas K9 Inc. 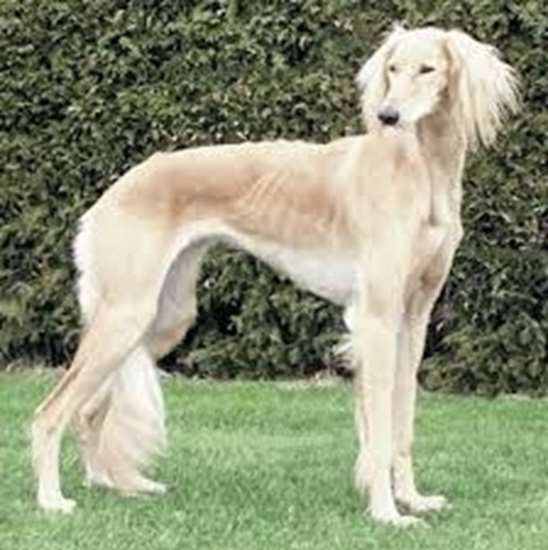 The Saluki has a general greyhound-like build and should combine grace, symmetry, great speed and endurance. Likwise, it should have the strength to enable it to kill gazelle or other quarry over deep sand or rocky mountains. Its expression should be dignified and gentle, with deep, faithful, far-seeing eyes. Its movement is light. The coat is smooth and silky; the feathered variety has long hair on its ears, tail, between its toes and sometimes on the backs of its legs; the smooth variety has no long feathering. This breed has a wide range of equally acceptable types, reflecting the wide area over which it was developed. The Saluki tends to be aloof and reserved with strangers. It is extremely devoted to its own family, but it is not particularly demonstrative. 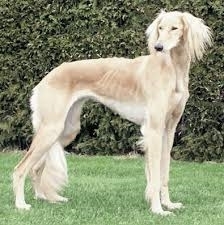 The Saluki is very gentle with children, but it may not be playful enough to satisfy most of them. 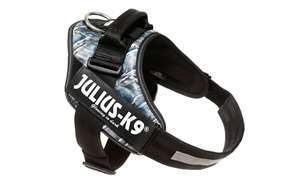 Extremely sensitive, it does not take to rough-and-tumble play or deal well with harsh corrections. Some Salukis can be shy. This breed is very quiet and sedate indoors, seeking out a soft, warm spot. Outside, it runs in great circles at tremendous speeds and will chase any small running animals or fast-moving objects. It may not come when called. 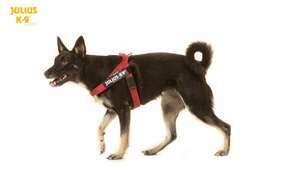 German Shepherd, Siberian Husky, Golden Retriever, Afghan Hound, Irish Setter, Dalmatian, Greyhound, Australian Shepherd, Shetland Sheepdog, Vizsla, Basset Hound, Belgian Malinoi, Basenji, Pointer, German Pinscher (male), Saluki, Komondor.